The super-talented musician takes a trip to the Middle East. 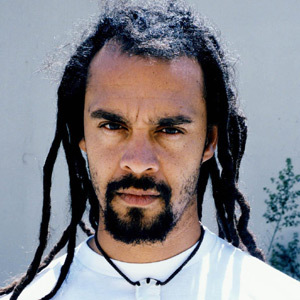 Hearts don't come much bigger nor souls much deeper than those of Michael Franti. The super-talented musician, who is renowned for his genre-hopping albums and heartfelt songs about peace and social justice, has for a couple of decades now been the voice of an American conscience - sometimes angry, sometimes sad but never resigned to things staying the way they are. His song Bomb the World ("We can bomb the world to pieces but we can't bomb it into peace"), which he wrote in the weeks after the September 11 terrorist attacks, remains a tragically prophetic landmark among modern protest songs. In this instalment of the excellent Geo Sessions series we follow Franti on a recent trip to the Middle East - Iraq, Israel, Gaza and the West Bank - where he meets and plays for the locals and where his joyful, uninhibited interactions with them are a poignant reminder that it really isn't that hard for people of different races, religions and cultures to get along. In a Baghdad neighbourhood that has no electricity or running water, he is particularly humbled by the generosity of locals who make a collective effort to show him the traditional hospitality that they cannot afford individually - one person brings some hard-boiled eggs to the table, for instance, while another supplies biscuits. The documentary has some fine musical performances by Franti and his small combo, along with personal interviews. He describes the decision by his white mother to put him up for adoption because her family would not accept a brown baby as "the most loving thing" she could have done.